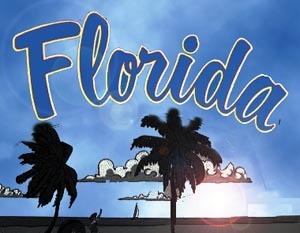 The sunshine state of Florida is the perfect spot to vacation with the family during any time of the year. Don't wait until summer time to book your vacation getaway to Orlando Florida. Vacation time is the most exciting part of the year for both adults and children, so why not take advantage and visit some place where all the excitement, amusement and fun you are looking for you will find it. If you chose Orlando to be the spot you have surely made an excellent and perfect choice. Here we bring you the Top 5 Attractions in Orlando Florida that the whole family will be sure to enjoy to its fullest and remember for a lifetime. Inside The Wizarding World of Harry Potter - Diagon Alley, you'll find cool things to do for both muggles and wizards. Be sure to conjure up the ultimate cool treat at Florean Fortescue's Ice-Cream Parlour offering soft-serve flavors, including Earl Grey & Lavender, chocolate chili and butterbeer! Careen through the icy peaks of the Himalayan Mountains on a speeding train while you escape the ferocious legend of the Abominable Snowman also known as, Yeti! Unexpected twists and turns among windswept passages and snowy glaciers make this a cool attraction of a higher level. Extra Cool: Frozen Fun at Walt Disney World Join Ana and Elsa at Disney's Hollywood Studios"Frozen Summer Fun LIVE!," now through September 1, 2014. At Wandering Oaken's Trading Post & Frozen Funland you can ice skate on a full size rink; kids can build a snowman in a snowy fun area and enjoy Frozen themed cupcakes worth melting for. Don't forget to wash it down with a Frozen blue raspberry slush in a souvenir Olaf cup. Note: The royal sisters are available for daily meet-and-greets only at the Magic Kingdom. Before you thaw, travel to the North Pole at Wild Arctic, where you can step into a frozen wonderland of ice and Arctic animals including beluga whales, giant walruses and polar bears. DUPLO Valley at LEGOLAND Florida is the perfect place for toddlers to cool down. This newest addition to the park includes The Splash & Play area which is fully equipped with fun intermittent water spouts and interactive water elements for little ones to let off some steam and get refreshed. Minus5 takes ice bars to a whole new level. With walls, bar tops, seats and cocktail glasses all made of ice. The temperature in the bar is controlled to provide a chilling experience as you explore the different ice sculptures and themed ice rooms throughout the bar, while sipping cool cocktails. Whenever you are traveling is an excellent idea to make your plans ahead of time, have a to do list, know the places that you will visit etc. for the sole purpose of taking the most advantage of the time and money that you have reserved for your well deserved vacations. Enjoy these Top 5 Attractions in Orlando Florida and try to experience them all if at all possible, you won't regret it.